Hello, my fellow sensory seeking moms and dads! Let me start by introducing myself. 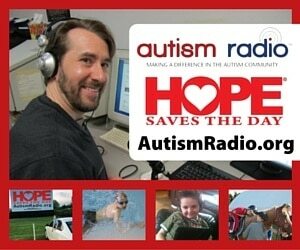 I am the mother of two young autistic children who require TONS of sensory input to stay regulated throughout the day. Over the years, I have experimented with what works well for them and what brings on the no-good -very-bad meltdowns! Having the tools on deck to provide the proper sensory stimulation that will meet their needs has proven to be the key ingredient to a good day versus a disaster. 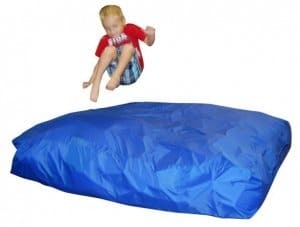 I started researching on Google “sensory products for children with autism” to inquire how much some of these items cost. I was absolutely shocked by the prices I saw. 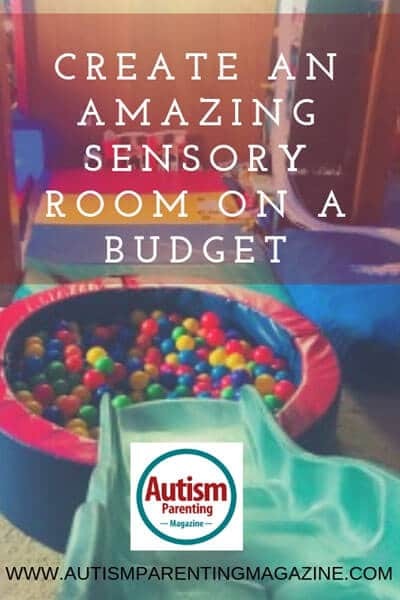 According to my initial research, the only way to create an in-home sensory room would cost us our life savings. This was not an option for my family. We simply could not afford it. I was very disappointed that the price tag on stability in our home seemed way out of our price range. I sent several emails to the owners of these companies asking if their products were made of gold to try to understand why on earth it was so darn expensive. It turns out they were not made of gold. I quickly learned my family was easy targets to exploit our pockets because after all, any devoted parent would move mountains to give their children what they need to feel safe and calm. Sadly, they make a decent living off of many vulnerable families like myself. This angered me to my core. I explored DIY tutorials and found most of them to be way too time-consuming for any family with young children let alone special needs children. I wasn’t super handy to top it off either. I looked into options like gofundme, grant programs, and came out empty handed. The willpower was still there. I knew if my kids could exemplify calm bodies in occupational therapy (OT) rooms and the local sensory gym that I must create something in our home, but the daunting question was: how? 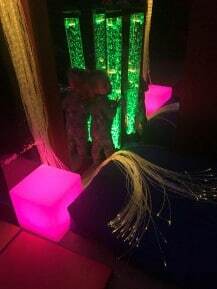 It became my mission to create a dream sensory room without going broke in the process. I finally completed the project, and I am so eager to share with you all my secrets. First off, it’s important to test what works well for your children. My son, for example, is fixated on colorful lights and can’t live without his weighted blanket. 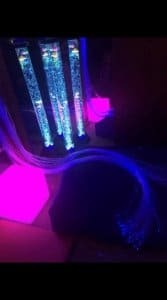 I decided my first order of business was to create a sensory corner in our playroom where he could sit with his weighted blanket and get sensory input through a bubble tube light and fiber optic strands. 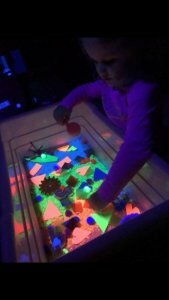 My daughter, on the other hand, loves sensory bins and exploring through tactile means. A sensory bin was a must. 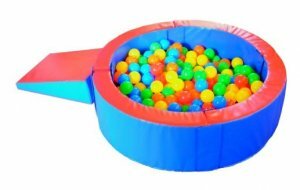 Here are the affordable, long-lasting items I purchased for our sensory room followed by photos of the finished product. The bubble tube is the hallmark of any sensory room. The one we chose to purchase was found on Amazon for about $120. Type in “sensory moon bubble tubes” and pick the size you are looking for. Don’t forget a bracket to secure it to a wall. I attached double-sided mounting tape to the bracket and pressed it firmly against the acrylic mirror to secure it. It hasn’t been knocked over yet! I spent roughly $60 each on two 24 in. x 48 in. mirrors. Together these acrylic mirrors provide an optical illusion that sensory seekers thrive on! Google what most “sensory companies” sell these for…you are getting the same quality if you ask me. I have mine on 24/7. The best place for bubble tube(s) and mirrors are in the corner of a room. The double-sided mounting tape works like a charm and there were no holes to drill. Perfect for us non-handy folks! 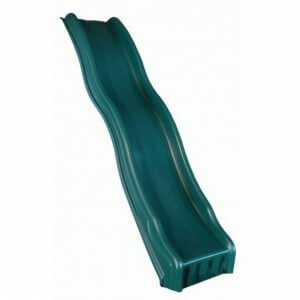 This is the same plastic slide you see on most at home swing sets. Cheap and durable! I had the perfect setup to make it lead down to our playroom, but it can also be used on the stairs if you don’t mind having it take up half the stairs, that is! Keep in mind safety with a stair slide and have something cushioned at the bottom like a crash pad for a smooth landing. 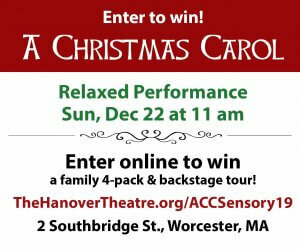 Great source of sensory input especially for those cold winter days! I bought this on Amazon from Sil-Care for about $120. We use our crash pad to lounge on in our bubble tube corner. 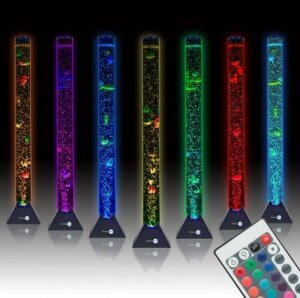 The black light was purchased through Amazon and it’s called American DJ 24″ Black Light Fixture with bulb. $17! Again, I mounted the light a few feet above the sensory bin with the double-sided mounting tape, worked like a charm! Lastly, our big addition recently was a hugglepod swing. We had it installed by my very handy neighbor. It requires finding a sturdy area in the ceiling that can hold up the weight. Drywall will not do! Seek a professional for this installment if you choose to go this route. 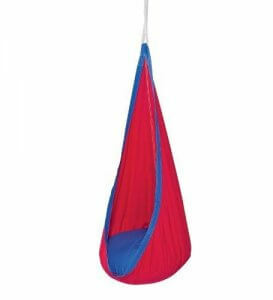 We do love this swing because it’s a safely enclosed area that my kids love to take a break from the world in. In addition, it spins around, and the kids get a lot of daily use out of it. I truly hope this helps you navigate the creation of your own sensory dream room that every seeker deserves. Never give up! Jamie Schwed is a 31-year-old wife and devoted mother of two children who rock and roll the spectrum. A day in the life of me consists of coffee, IEP meetings, meltdowns, floor time and lots and lots of positive reinforcement with more coffee readily available. 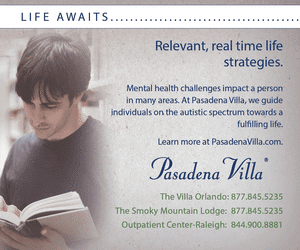 Although daily challenges arise with raising children with special needs, we try our hardest to look at autism as an empowering ability to see the world more clearly and free of mindless hatred that our world is plagued with. As a mother, I have made it my life mission to make sure my children are treated with the same respect and love every child deserve regardless of a label. Cheers to my fellow autism mom and dads. You all inspire me! is a 31-year-old wife and devoted mother of two children who rock and roll the spectrum. A day in the life of me consists of coffee, IEP meetings, meltdowns, floor time and lots and lots of positive reinforcement with more coffee readily available. 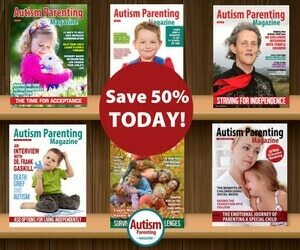 Although daily challenges arise with raising children with special needs, we try our hardest to look at autism as an empowering ability to see the world more clearly and free of mindless hatred that our world is plagued with. As a mother, I have made it my life mission to make sure my children are treated with the same respect and love every child deserve regardless of a label. Cheers to my fellow autism mom and dads. You all inspire me!